I Dream of NeNe: The Wedding proves that the second time around is a charm as the new docu-series features the nuptials of former spouses NeNe and Gregg Leakes. 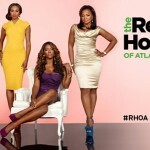 Fans have gotten up close and personal with the couple during The Real Housewives of Atlanta, watching their happy marriage, devastating divorce, and romantic reconnection. The stars align as the Leakes are ready to tie the knot once again in an extravagant wedding fit for a larger-than-life personality like NeNe. Each episode follows NeNe as she plans the wedding of a lifetime and puts her team of experts to the test in executing her dream vision. Alongside NeNe is her bridal party, including Cynthia Bailey and Marlo Hampton, who bring a fair share of drama and fabulousness to the classy affair.